Two things occurred to me as I was watching The Commitments this afternoon. 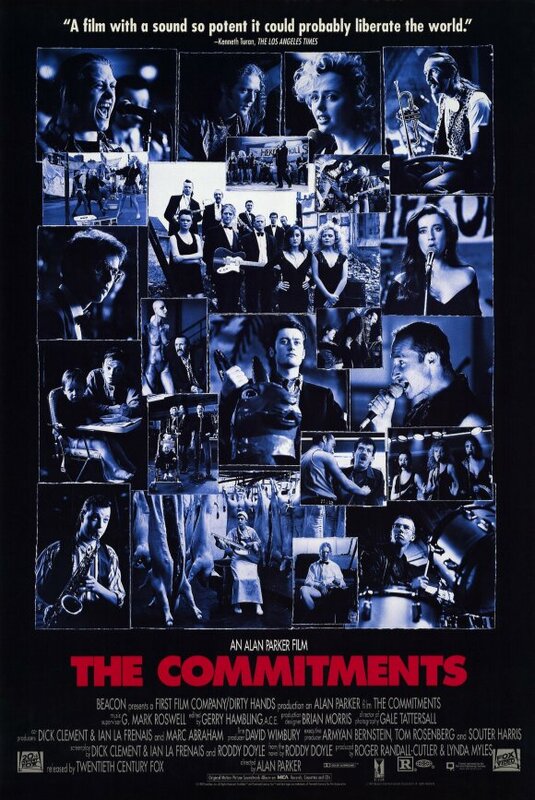 Second, on this weekend of commemorating anniversaries, the 20th anniversary of The Commitments‘ release is one I can fully support. The Commitments is about a group of unemployed Dubliners who come together to form the ultimate soul band. The Commitments, quite hilariously, are at first a rather ragtag group of musicians. Eventually they find their stride and are on their way to success when ego gets in the way. The movie has a life of its own in Ireland. It is consistently ranked as the greatest Irish film of all-time. The cast members reunited earlier this year to play a series of concerts and celebrate the anniversary of the film in Dublin. It always amazes the legacy of certain movies, the ones that really stay with audiences over time. And it never gets old.